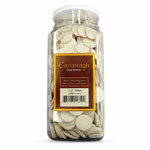 These whole wheat Communion wafers are made using a special process that rolls and seals the edges to prevent breakage and crumbling. Approved for use in the Catholic Eucharist, our Celebrant's Hosts are scored with a cross in the center so they will easily break into 4 pieces without crumbling. Whole wheat wafers are beautifully boxed in quantities of 50 wafers per box and are baked from a simple unleavened recipe of unbleached whole wheat flour and water. 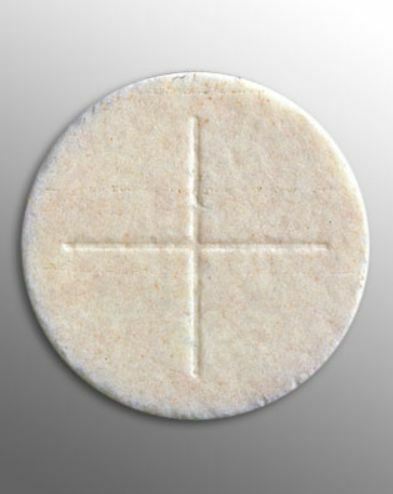 Large Communion wafers measure 2.75 inches in diameter.